A chronic skin condition of unknown origin, psoriasis affects millions of people in the U.S. The autoimmune disorder is characterized by outbreaks of red, scaly patches (plaques) that appear on the skin. 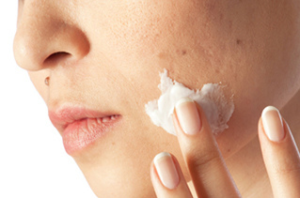 Irritating and unpredictable, these flare-ups are caused by skin cells that multiply at 9 to 10 times the normal rate. Although it can affect the skin in any area of the body, psoriasis most commonly occurs on the elbows, knees, and scalp. As a dermatologist, I treat many patients who struggle with this disconcerting disease. Because it can strike at any time, I often see psoriasis sufferers at odd intervals. Under the umbrella of the term psoriasis, there are five distinct types. Easily the most common type, about 80 percent psoriasis sufferers have plaque psoriasis. The chronic skin disorder causes patches of raised, red skin covered with silvery, white scales to appear on the knees, elbows, scalp, lower back, and, occasionally, in other areas. Although more common in children and young adults, only about 2 percent of psoriasis sufferers have this type. The guttate version cause small, pinkish-red dots to appear on the thighs, trunk, scalp, and upper arms. Often caused by a buildup of yeast, inverse psoriasis results in large patches of smooth, red skin in the armpits, groin, buttocks, and under the breasts. As unpleasant as it sounds, this type of psoriasis causes small, pus-filled bumps to suddenly appear on one part of the body. The least common type, erythrodermic psoriasis causes the skin to turn a bright, fiery red color. Because it often affects most of the skin on the body, it is an extremely serious disorder. Those who fear they might have it should seek emergency treatment. As mentioned earlier, all of the forms of the disease require different treatment plans. Generally speaking, some types are more serious than others. For example, guttate psoriasis may go away in only a few weeks, even without treatment. On the other hand, a bad case of pustular or erythrodermic psoriasis requires immediate medical attention. To assess the severity of symptoms, it’s important to make an appointment with a dermatologist.